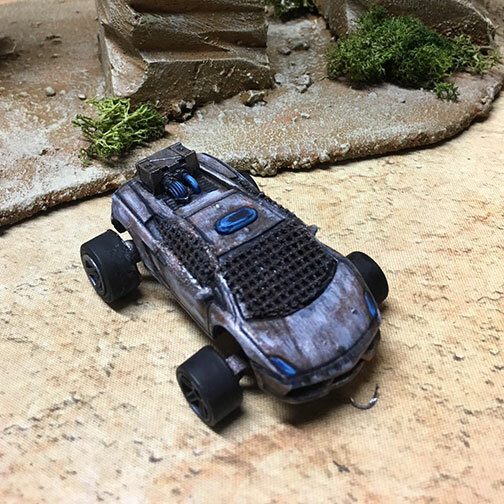 Gaslands – One thing about "mad-maxifying" Hot Wheels cars is it's pretty easy if you're not concerned with be accurate or to scale. 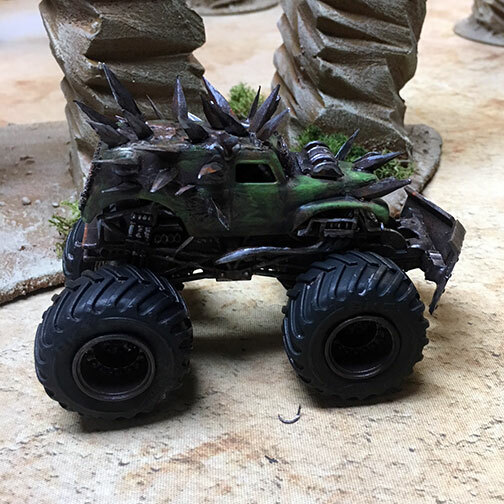 It's also really enjoyable to mash together parts to make something unique for your Wasteland Warriors to ride in. I've built a bunch of cars primarily focusing on just making them look cool. 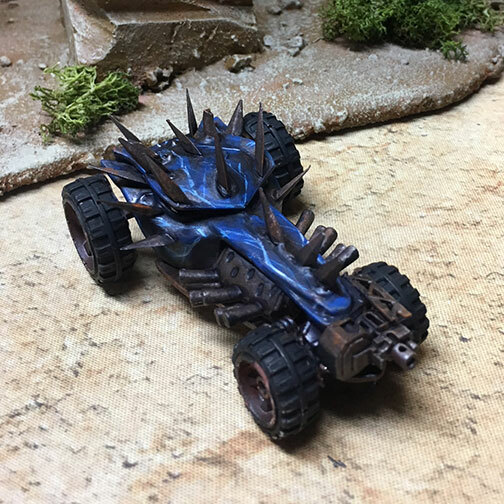 At some point I need to break them down into teams and can cost (Gaslands using "cans" as the point system, a typical team is 50 cans).